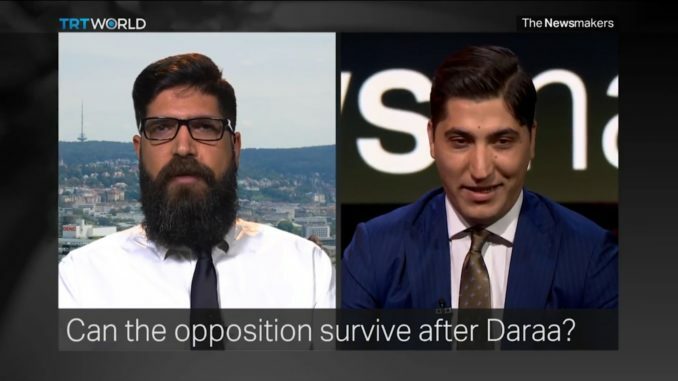 Heated debate on TRT World in regards to the Syrian Army offensive to regain Daraa from the Islamist groups. -Danny Makki, a freelance journalist and commentator on the Syria conflict. He has an MA in Middle Eastern politics from SOAS University, specialising in Syria’s relations with Russia and Iran. -Kevork Almassian, founder of SyrianaAnalysis and Syrian Analyst. -Osama Abo Zayd, Former Spokesman of the Free Syrian Army former Syrian opposition chief negotiator at the Astana talks. -Yahya al-Aridi, Spokesman for the Syrian Negotiation Commission. Opinion | Elijah J. Magnier: Will US Forces Leave Syria?